The dairy market saw improved growth in the 12 weeks to 31 December 2017, growing strongly as festive Brits spent £2.6bn on dairy products in the run up to Christmas (up 6.3% year on year). Growth leapfrogged that seen in both the total grocery market and fresh and chilled, which grew at +4.2% and +4.5% respectively. Dairy is also growing ahead of both these markets in volume terms (+2.6% vs 0.9% and 1.6% respectively), despite rising prices. The category contributing the most to dairy growth compared with last period is milk, growing +£38m in the last 12 weeks (up from +£23 the previous period). This is followed by cheese, with the festive staple seeing growth worth £42m – up £9m on last period. 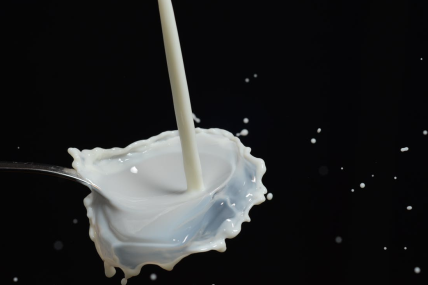 Milk’s performance is driven by rising prices in the category, and shoppers buying more often. Standard fresh milk drove the most growth, but all subcategories are seeing value going in the right direction. Growth in dairy overall, and milk specifically, is seen across all retailers. Tesco, the fastest growing of the Big Four supermarkets, also made the biggest contribution to dairy growth - ringing up an additional £10m spend in dairy and £4m in milk. Morrisons also doubled its uplift in dairy over the last 12 weeks, with Lidl nearly achieving the same in milk. In net terms dairy continues to grow solely through sales not on promotion – though the rate of decline of TPR deals has started to slow. Milk, on the other hand, does see some growth through lines sold on Y for £X deals, but the uplift on last period has come primarily through full price sales, reflecting the fact that standard fresh milk is driving growth. Finally, growth within dairy is seen throughout shoppers in all life stages and social classes, though Class AB and C1, young families and retired shoppers drive this the most.